Winning a Great Taste Award is a fantastic indication of the quality of a product. Won by everything from own brand label supermarket products to artisan providers, these awards mark the pinnacle of gastronomic achievement. Amongst a whole host of winners, an incredible six of Akesson’s bars received stars, along with two from Rózsavölgyi Csokoládé and one for The Chocolate Tree. So, in celebration, we’ve chosen four award winning bars from our chocolate library and put together a special Great Taste Awards Box. Featuring bars from across the world – from Tobago to Madagascar and from Budapest to Stockholm – this box really will indulge your epicurean instincts. At £19.95, this box is 25% cheaper than buying the bars individually, and includes tasting cards giving information on each maker and on the various flavours to look out for when trying the chocolate. Only after an individual bar? Get 10% OFF these bars separately by entering the code AWARDWINNERS1 at checkout. Receiving three stars, this is a brand new addition to our chocolate library. We caught up with Duane on his way between launching his line of bean to bar ice chocolate lollies at his shop in Stockholm and his farm in Tobago and arranged for a delivery of his unique bars. This Roxborough 70% bar is the product of his dream to create bars directly from his family plantation in Tobago. Bertil has recently returned from his travels and we caught up with him in our offices. This bar really is a worthy winner. Made from Madagascan beans, it features a hint of spicy heat to complement its gentle aroma of cinnamon and cloves. 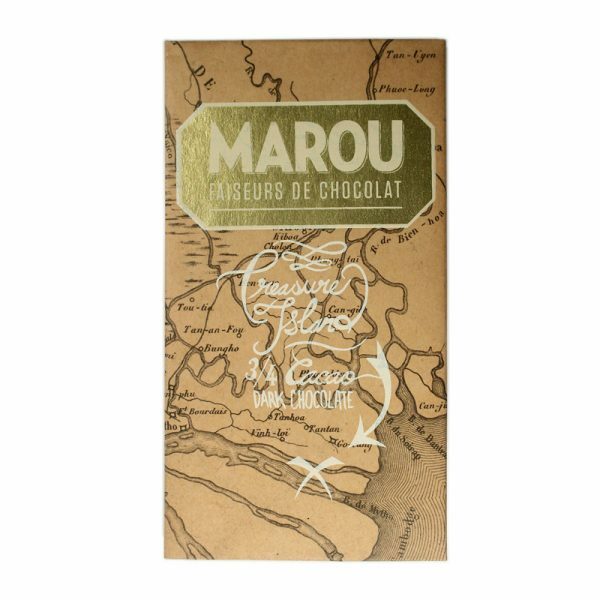 Imaginatively named, this bar has exotic origins and is made from cocoa from the Mekong Delta in Vietnam. This limited edition bar contains 75% cocoa solids that give it an intense yet smooth cocoa flavour with a hint of red fruits. This beautiful bar is as famous for its flavour as it is for its fantastically unique packaging. Katalin and Szolt shape their bars to replicate the intricate designs of ancient fireplace tiles, and the result is visually stunning. The sadness of taking the chocolate out of its bright wrapping and breaking apart its delicate moulding is made better, though, by its creamy smoothness and wonderfully fruity – and characteristically madagascan – notes. This article caught our eye this morning, and we just had to share it. It’s the story of an exceptional 127 year old woman who credits chocolate for her long and healthy life. We think she might be onto something there, and so does Professor Gary Williamson of Leeds University. His 2008 study listed dark chocolate as a ‘lifespan essential’ foodstuff, down to the presence of Polyphenols such as Flavonoids (which we have talked about previously), which are widely accepted to help protect against heart disease. The antioxidants in dark chocolate have also shown potential for fighting Cirrhosis of the liver. Of course, all of this can be completely counteracted if the chocolate is overly sugary or if you consume far too much. As always, we recommend everything in moderation. 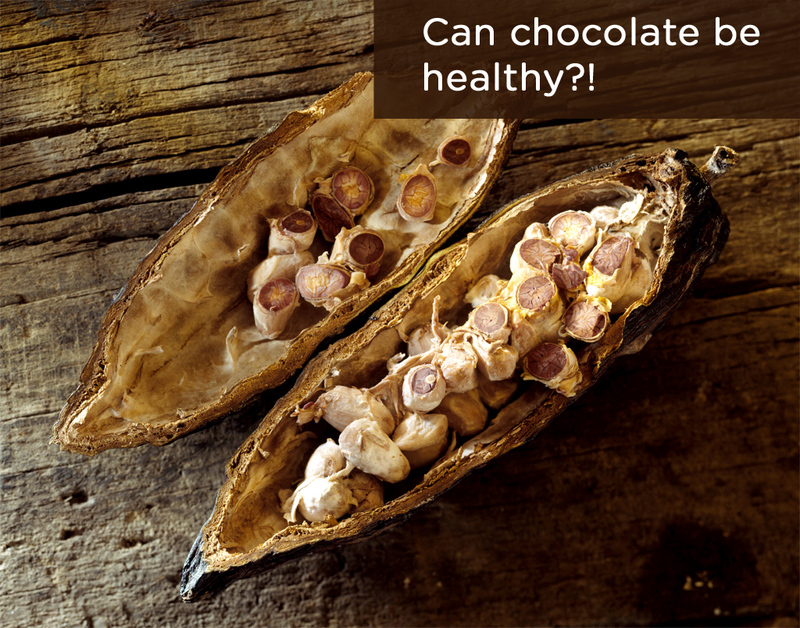 To find out a few more reasons why consuming chocolate is good for you, check out our previous blog post. Here’s a few award winning chocolate bars we recommend you consume whilst reading! Why Chocolate is Actually Quite Good for You! If you’d asked anyone about the health benefits of chocolate twenty years ago, they would probably have laughed at you. Chocolate was seen as the cause of many health issues from acne to obesity. But recently – and coinciding with the rise in popularity of artisan chocolate – there have been more and more scientific studies that prove that chocolate not only isn’t bad, but that it can actively improve your health and even help you live longer. Believe it or not, chocolate is actually quite good for you! We want you to be able to decide for yourself, so we’ve collected some of the specific health claims related to chocolate, complete with their sources. But before we do that please note that nearly all of these claims relate to high cocoa content dark chocolate. Too much sugar and saturated fat in your diet is still a bad thing, and in most cases, there is a balance between the health benefits of the cocoa and the negative effects of the added sugar and milk powder. Most of the chocolate we feature in Cocoa Runners is high in cocoa solids and low in sugar, meaning that when consumed in moderation, you should get the maximum benefit. Chocolate – specifically cocoa – is high in flavonoids, which are powerful antioxidants. Cocoa Powder can contain up to ten percent of its weight in flavonoids, which have been linked to a reduction in coronary heart disease and stroke. Antioxidants are compounds that protect against so-called free radicals – molecules which accumulate in the body over time that can damage cells and are thought to play a role in heart disease, cancer and the ageing process. Many recent studies have shown links between a small daily chocolate intake and improved cardiovascular and heart health, although research is still ongoing into the benefits of antioxidants. Research shows that cocoa – a naturally polyphenol-rich food – can be associated with a lower risk of coronary heart disease and stroke in much the same way as fruit and vegetables are! Intervention studies strongly suggest that cocoa has several beneficial effects on cardiovascular health, including the lowering of blood pressure, and the improvement of vascular function and glucose metabolism. 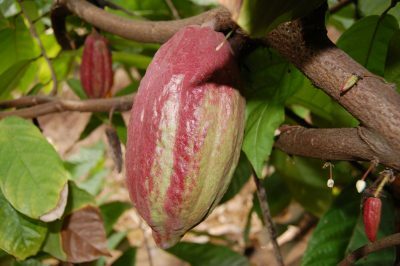 Several potential mechanisms through which cocoa might exert its positive effects have been proposed; among them activation of nitric oxide synthase, increased bioavailability of nitric oxide as well as antioxidant, and anti-inflammatory properties. One recent study indicated that bacteria in the stomach ferment chocolate into useful anti-inflammatory compounds that are good for the heart and reduce the death rate in heart attack survivors. It’s long been known that a key chemical compound in chocolate – theobromine – has a stimulant effect on the brain similar to that of caffeine. More recently studies have shown that theobromine can stimulate the release of endorphins, giving a sense of well-being similar to the feelings we experience when in love. Contrary to what you might expect, recent research suggests that theobromine is also actually good for your teeth, and acts to harden tooth enamel more effectively than fluoride! A parting note on the importance of moderation. The one thing that most of the studies listed here have in common is that they recommend a small daily intake of quality chocolate. To get the maximum benefit, you should avoid chocolate that has excess sugar and vegetable fats, and – most importantly of all – you should consume chocolate in moderation. At Cocoa Runners, we put a great deal of thought into this when creating our monthly tasting club. We think that four bars per month not only lets you sample a fantastic range of the world’s best chocolate, but at roughly 10g per day, is just the right amount to help maintain a balanced diet. The one thing you’ll notice with high quality chocolate is that you simply won’t need as much of it as you would with cheaper chocolate. The higher cocoa content means you can get the same lift – and all the health benefits – in a couple of squares, that you would in a whole bar of cheaper confectionery chocolate. So whether you choose Cocoa Runners or not, the message is simple. Eat chocolate in moderation and stick to the good stuff! It’s easy to forget that, considering they dedicate their entire lives to cultivating and harvesting cocoa beans, many cocoa farmers have never been fortunate enough to try the fruits of their labours. Can you image spending your whole life sourcing the beans for a product you haven’t even tasted? The sad reality is that many farmers aren’t even aware that the cocoa beans they harvest go into making chocolate; there’s a touching moment in this clip where one man explains that he was told they went off to make wine! Thanks to the makers of this video, though, some farmers on the Ivory Coast are finally given the opportunity to try some chocolate, and their reactions are truly heart warming. The journey from cocoa tree to chocolate bar is not complex, but it requires several steps, each of which require careful treatment to get the best from the finished product. The care, skill and attention to detail of everyone involved in making the chocolate in your Cocoa Runners box is what makes it special. It doesn’t just taste good, it does good. Here we share an overview of the eight steps to chocolate perfection. Ripe cocoa pods are harvested twice a year. 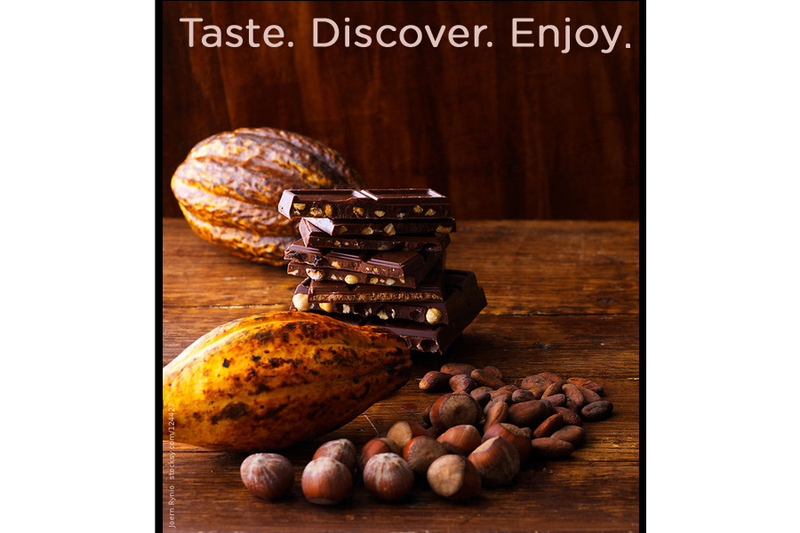 The harvest times vary from region to region, but the process of turning it into chocolate begins immediately. The pods are cut open with machetes and the white pulp containing the cocoa beans is scooped out. The pods and pulp are placed into large wooden containers, where the pulp is allowed to ferment for five to seven days. This is the first stage in developing the flavour of the chocolate, and part of the reason why a farmer can have a direct impact on the quality of the finished chocolate. The next step in the process is to dry the beans. This is usually done by spreading them out into a single layer in the sun. Most beans are transferred into sacks and transported around the world after drying, so in order to prevent mold, it’s important that they’re completely dry at this point. This is done by the chocolate maker rather than the farmer. The process and equipment used to roast the beans vary considerably from chocolate maker to chocolate maker. The exact temperature and roast time are part of the chocolate maker’s (often secret) recipe, and will have been worked out with careful experimentation and lots of tasting! The roasted cocoa beans have a thin, papery shell around them which needs to be removed, so at this point in the process, the beans are cracked open and the shell is removed in a process called winnowing. The lighter shells are blown away with fans, leaving behind pieces of pure cocoa bean, known as “nibs”. The cocoa nibs are ground with stone rollers until they become a paste known as cocoa mass or cocoa liquor. Cocoa butter can be extracted from the cocoa mass with a hydraulic press. This is useful because most chocolate makers often use extra cocoa butter to give their chocolate a smoother, glossier texture. The cocoa butter is the only fat in real chocolate. Traditionally, the cocoa mass is transferred to a separate machine called a conch, where it is further refined. This part of the process has a very big impact on the flavour notes in the finished chocolate, and deciding exactly how long to conch for is part of the chocolate maker’s skill. Tempering is the controlled process of raising, lowering and raising the temperature of the chocolate to form exactly the right kind of crystals. Tempering can be done by hand, but the process would be enormously time consuming for the large amounts of chocolate that bar manufacturers have to work with, so most use tempering machines that can heat large quantities of chocolate very accurately. The tempering machine will keep the melted chocolate circulating at exactly the right temperature, making the final step easier. The final step in making a finished chocolate bar is pouring it into a mould. Larger chocolate makers will have machines and conveyors that deposit exactly the right amount of chocolate into each mould, but many smaller manufacturers still do this part by hand.Once cooled, the chocolate is wrapped and ready to go! Have You Tried 100% COCOA Chocolate Yet? If you’ve never tried 100% cocoa chocolate, you’re in for an unforgettable experience. For any true chocolate lover, a 100% cocoa bar is an undeniably intriguing prospect. Containing absolutely no sugar, it is made of just cocoa mass and a little cocoa butter, and offers a taste that is unparallelled in any other kind of chocolate. 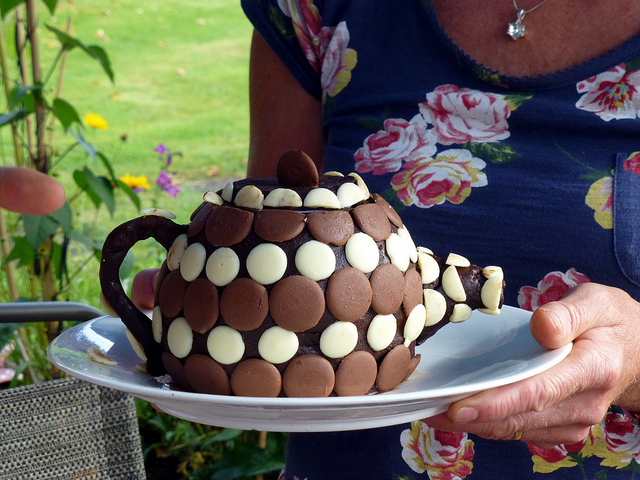 We think it’s a great way to show off the natural intensity and flavours present in cocoa. When trying some 100% be sure not to break off a big piece; honestly, a piece half size of your thumb nail will be more than enough to experience the striking flavours. You’ll find that the chocolate coats your tongue as it melts, invading your tastebuds in a way you probably haven’t experienced before. Whilst some find this overwhelming, others love it; you’ll have to see what you think. 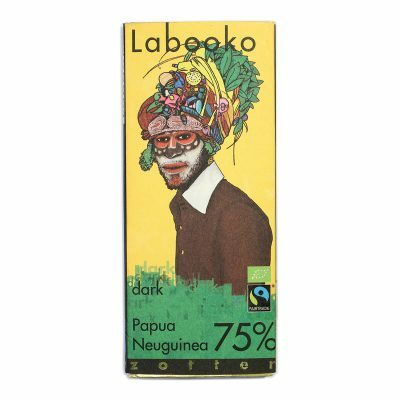 It’s also worth trying a bar of 100% cocoa at different times of day too, and tasting it in comparison to other bars. We always like to keep a glass of water handy when we’re tasting 100% cocoa chocolate to clear our palette in between bars. 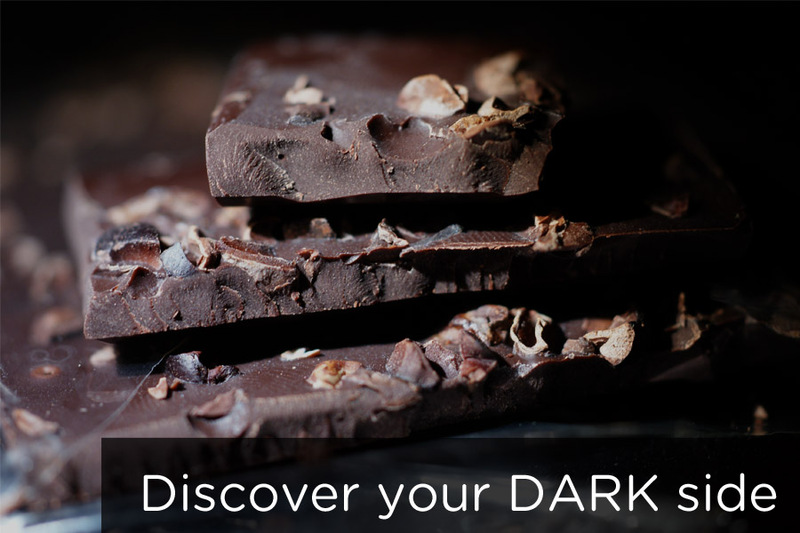 Here at CocoaRunners we LOVE our dark chocolate. Nothing is better than a square or two of top quality artisan chocolate – trust us we’ve tasted over 200! Here we count down the Cocoa Runners Team’s list of five of the best dark chocolate bars you will ever taste. Give them a try and tell us what you think. A smooth and intense 75% dark chocolate. Fruity aftertaste, with balsamic overtones. Zotters are a great chocolate maker, known for their wacky and quirky approach. Founder Josef Zotter loves to experiment with flavours. His filled chocolates include everything from cheese to bacon and vodka to frankincense. But at the heart of everything Zotter do is a simple, ethical approach to chocolate making. 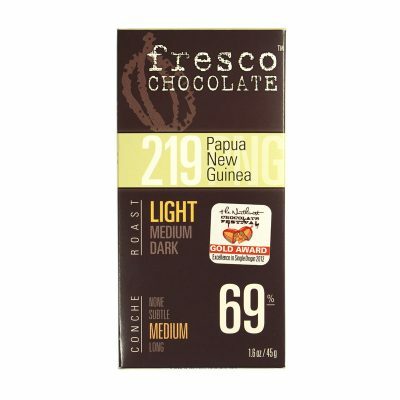 Made from a light roast and medium conch, this Fresco chocolate – at 69%- is outstanding. Again, it is quite fruity, with a citrus after-taste like no other chocolate. If you like fruity chocolate then this bar isn’t one to miss. Based in Washington, Fresco run their chocolate making processes quite differently. They release each variation so that we can all see what a difference these subtle changes can make and find our own personal favourites. An unrefined, stone ground chocolate disc with intense roasted coffee flavours. 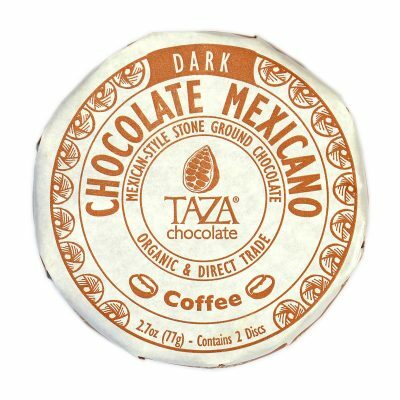 Based in Massachusetts and famous for their traditional style unrefined & stone ground chocolate, Taza make unique chocolate bars that everyone should try. 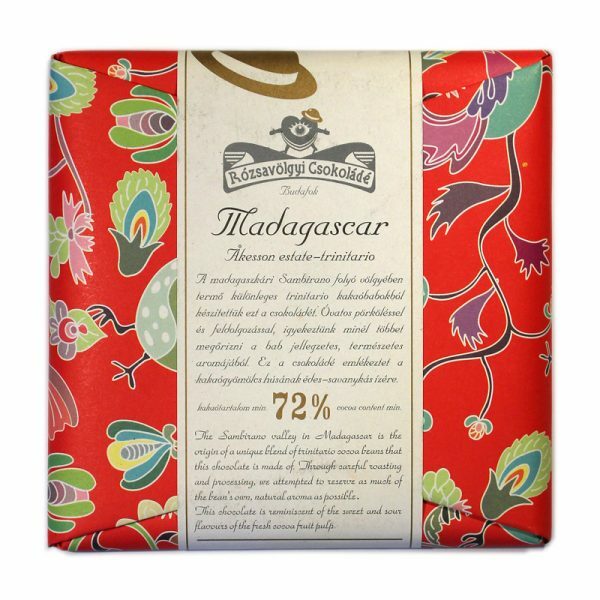 At 63%, this bar of madagascar origin is quite pale for a dark chocolate. But the salt works well with the sweetness of the cocoa, leaving an aftertaste that is perfectly balance with sweet and salty undertones. Madécasse makes their chocolate from the bean actually in Madagascar where the cocoa is sourced. They also invest a portion of the money they make from their bars back into the local community. Their chocolate both does good and tastes good! We tried this at our last taste-testing and fell in love. 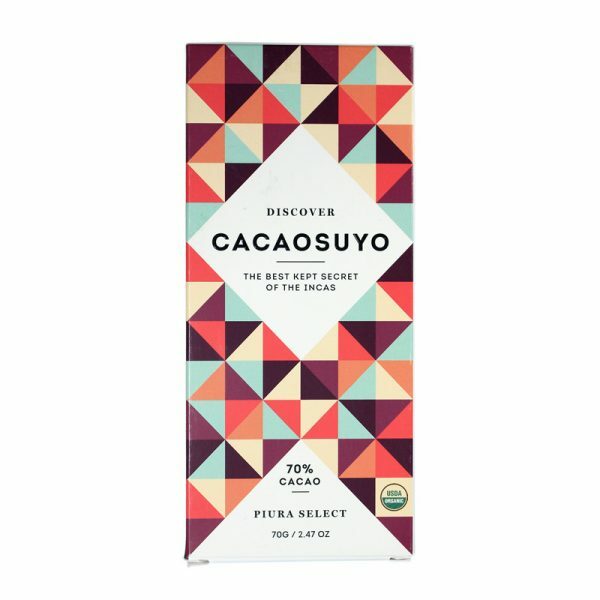 Intensely fruity, this dark bar is made with organic white chocolate beans from the Piura region of Peru. The fruitiness carries on way into the after-taste too before finally fading back to reveal a more rounded, woody flavour. This bar is a great illustration of the range of flavours you can find in intense chocolate. Cacaosuyo are based in Peru and CEO Sam Giha is a Peruvian-American with a background in the textile industry, so it’s no surprise that Cacaosuyo’s brightly coloured packaging is inspired by traditional Peruvian textiles.And the future looks bright for Cacaosuyo. With their own dedicated factory nearing completion and a range of new chocolates and flavours in development, we think they’re already well on their way to completing their mission of producing some of the best chocolate in Peru – and the world. We’re going to give you a sneak peak into our world and share the techniques our tasting panel use each time they come to taste a new bar. Identifying the different flavour notes might be feel a little strange at first but we promise that within a few bites you’ll be picking up overtones and undertones with ease. Take the chocolate tasting process step-by-step as shown below and in no time you’ll find that you’ve kick started a love affair with beautiful hand-made artisan chocolate bars. Before you start, find somewhere quiet and free from strong smells to enjoy your chocolate. Have a glass of water or some fresh bread handy as a palate cleanser between tastings. You’ll be amazed at just how different chocolate can taste at different times of day too. There’s no right or wrong time, but it’s always interesting to see the difference between how a chocolate tastes in the morning and the evening. Try it! Start by carefully opening the wrapper of your chocolate bar, and while it’s still in the pack, breathe in the aroma. Remove the chocolate from the wrapper and have a good look at it. In many cases, a good chocolate bar will have a glossy appearance. Break a piece of chocolate off. It should break with a clear “snap” sound. That’s another sign of a well tempered chocolate and a skilled chocolate maker. Breaking the chocolate will release more aroma, so bring it to your nose and inhale to take it all in. Place a small piece of chocolate on your tongue, and most importantly of all, don’t chew that first piece. The key to getting the most from your chocolate is to let it melt slowly on your tongue. If it’s been made well it should start to melt quite quickly. As it melts, it will start to release flavours. It might be fruity, floral, earthy or spicy, but the chances are the flavours you pick up will evolve as the chocolate melts. The more chocolate you taste, the more you’ll find you’re able to pick out much more distinct flavours. Is it smooth or grainy? If a chocolate is conched for longer, it will often have a smaller particle size and a smoother texture. If it feels glossy or fatty on the tongue, that can be a sign that a lot of cocoa butter has been added to the chocolate. A good chocolate will also leave a lasting flavour in your mouth. This “finish” can stay with you for several minutes after the chocolate has melted, and is part of the reason why you only need a small piece of chocolate to get the best possible experience. We hope that these top tips will help you to savour and enjoy the first bite of each and every new bar you try… How long the bar lasts after that is completely up to you! From time to time most of us can be tempted by a little milk chocolate. But there’s a world of difference between mass-market milk chocolate and the really good stuff. So if you;’re going to treat yourself you might as well get the best milk chocolate bars you can. 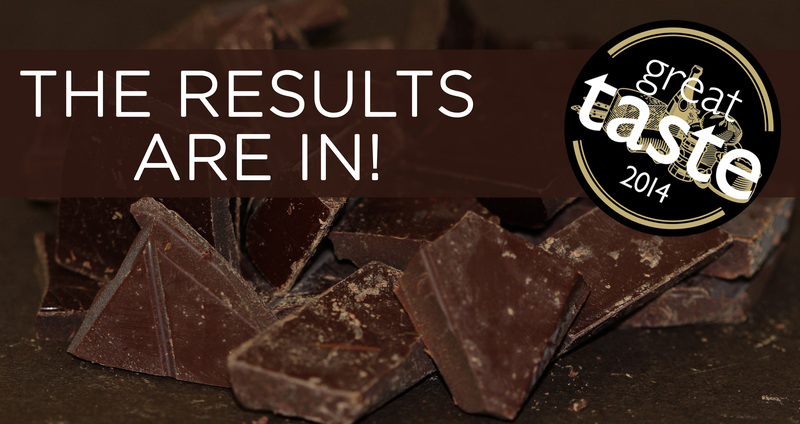 Here at Cocoa Runners we find the best artisan chocolate from around the world and run it through intensive taste-tests before recommending it to you. Below, we’ve brought together five of the best milk chocolate bars you will ever taste; give them a try a let us know what you think! What in your opinion is the best milk chocolate bar? If you’ve come across a truly delicious craft milk chocolate bar that you think we absolutely need to try we would love to know! Leave us a comment below or send us a tweet. Not only does this milk chocolate taste great, by eating it you’re actually doing good too! Original Beans plants a tree in the rainforest for every single bar they sell. The sweet and creamy bar has a subtle fruity note. 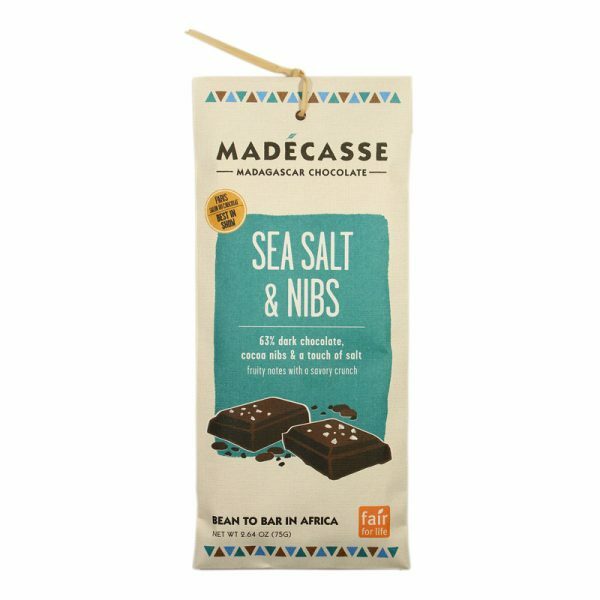 An added touch of sea salt lifts this milk chocolate bar’s flavour and makes it almost impossible to put down. This particular chocolate bar from Akesson’s bar is a dark milk chocolate, which means it has a much higher cocoa content than your average milk chocolate. The result is a buttery bar with deep chocolatey flavour notes, as well as hints of dried fruits and a toasted malt nose. 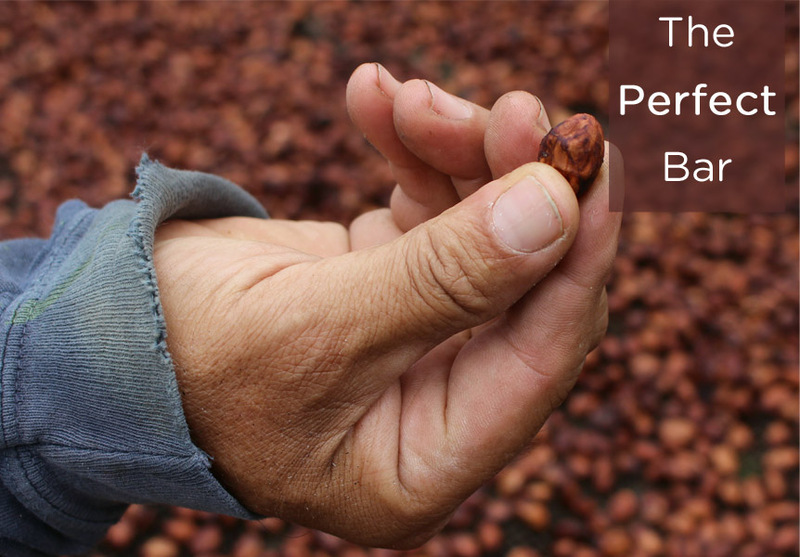 The cocoa beans come from Bertil Akesson’s own farm in the Bahia province of Brazil. This bar is Idilio’s only milk chocolate, useds fine Venezuela Criollo cacao beans. Made with 42% cocoa solids and plenty of Swiss alpine milk and cream powder, its super smooth and rich texture plus its sweet, creamy flavour are unmistakably Swiss. A light touch of caramel comes through on the finish, creating a crème caramel-like richness. This dark milk chocolate by Duffy’s is bursting with layers of rich flavours. The softly smooth bar blends hints of toffee with notes of blueberries and sweet currant jam. The indulgent milk chocolate uses cocoa beans from Xoco in Honduras. The milk chocolate won silver at the International Chocolate Awards 2015. Handcrafted in upstate New York, Fruition’s milk chocolate uses browned butter from a local dairy which gives a wonderfully rich caramel note. The Dominican beans also lend the sweet bar a touch of citrus. It took Bryan from Fruition over 6 months to perfect this recipe and we’re sure you’ll agree it was well-worth the wait.